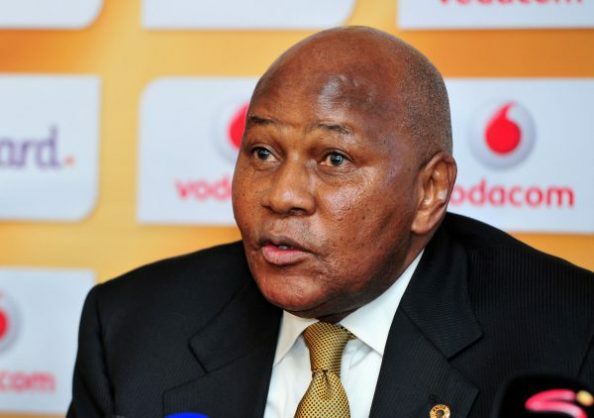 Kaizer Chiefs chairman Kaizer Motaung says the club hopes the punishment meted on supporters for assaulting a security guard at the Moses Mabhida Stadium will send a strong message to fans who react with violence when their team is losing. A security guard was assaulted by fans when they invaded the field after Free State Stars beat Chiefs in the Nedbank Cup. Nine fans appeared in court and Khwezilomo Madiba was sentenced to three years in jail while the other eight received suspended sentences. “We truly welcome the sentencing of the nine people who were responsible for the injuries to security marshals and damages to property amounting to millions of rands,” Chiefs chairman Kaizer Motaung told the club’s website.